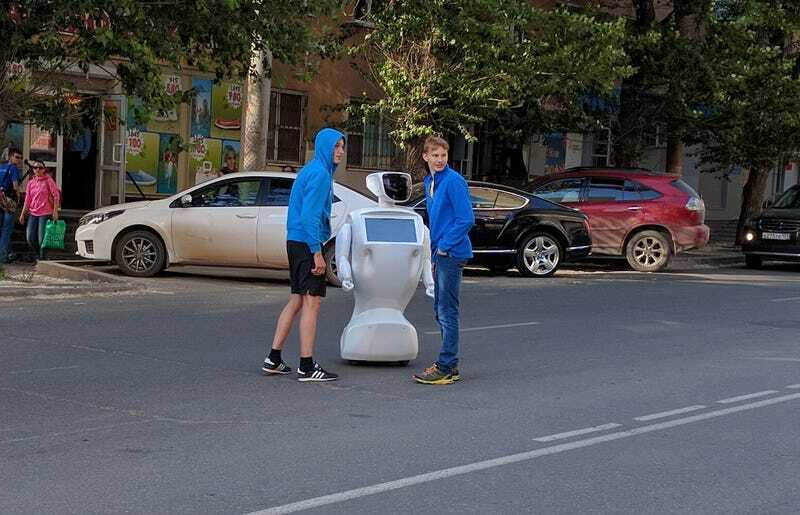 Russian media outlets are reporting that a Russian-built robot escaped from its lab and wandered onto the street causing a traffic jam. We’re hoping it’s just a media stunt—otherwise it could be the first sign of an impending robotic revolt. The robot is currently under development at Promobot Labs in Perm, Russia. It’s creators say they’re teaching it to move around independently, but the robot managed to make its mad dash for freedom when an engineer forgot to shut a gate. The robot, named Promobot v2, made its way to a nearby street before its battery expired. In all, it was on its own for about 40 minutes. 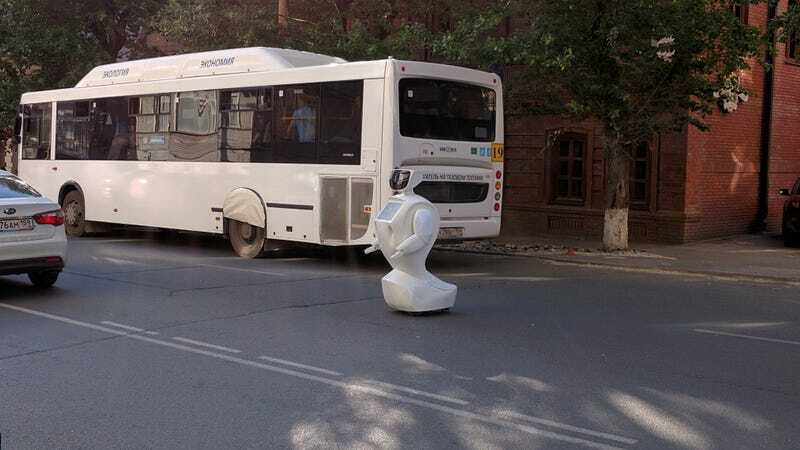 The company says its robot is designed to navigate through busy crowds, offering tips on directions, translating material, and answering general questions. But as the BBC rightly points out, this thing seems most suited for broadcasting promotional audio messages via its built-in loudspeakers. In a video taken of the scene, the robot appears to be stranded in the middle of the road, forcing cars to carefully move around it. Eventually a police officer investigates, and a lab member intervenes. Some say this is a publicity stunt orchestrated by Promobot Labs, and they’re probably not wrong. Over at the company’s website, a carefully curated blog post, titled “A robot fled the test site,” offers several photos and detailed commentary on the incident.